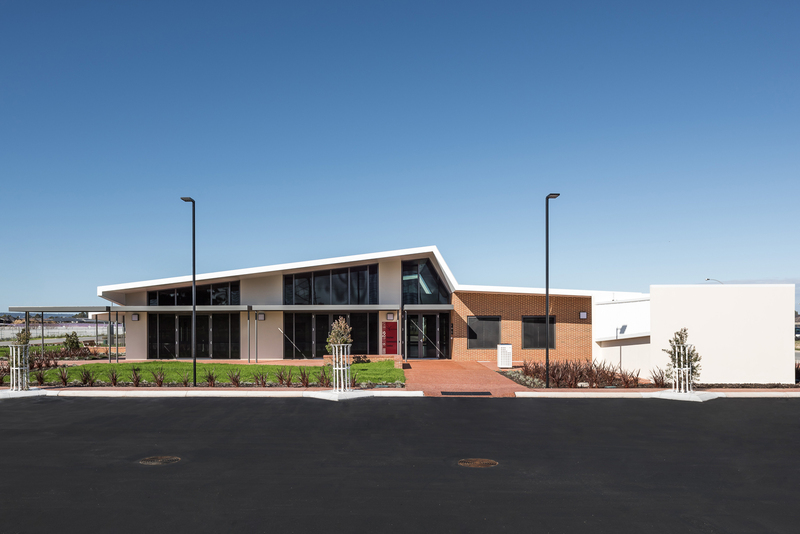 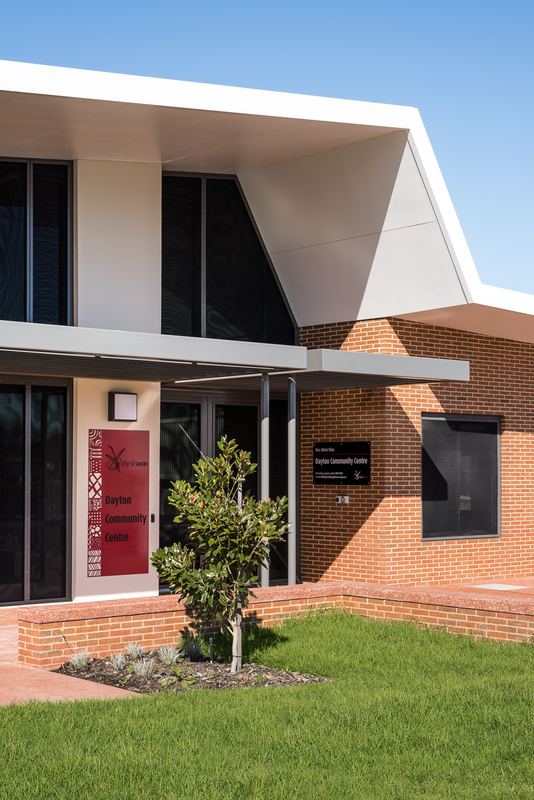 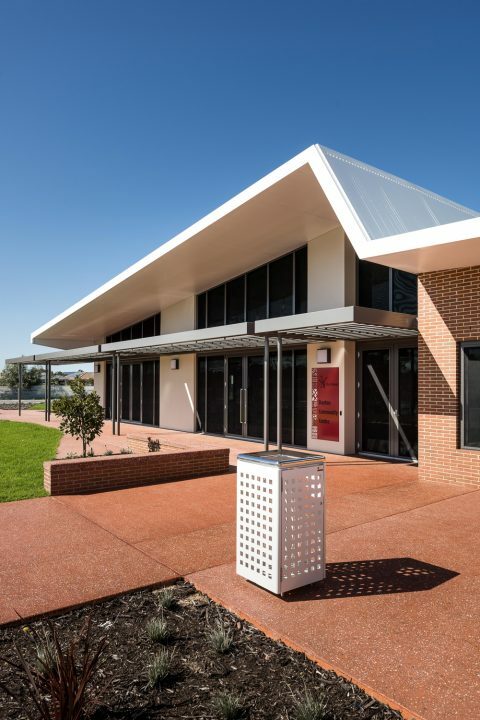 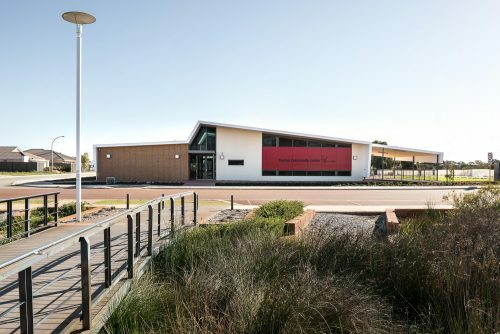 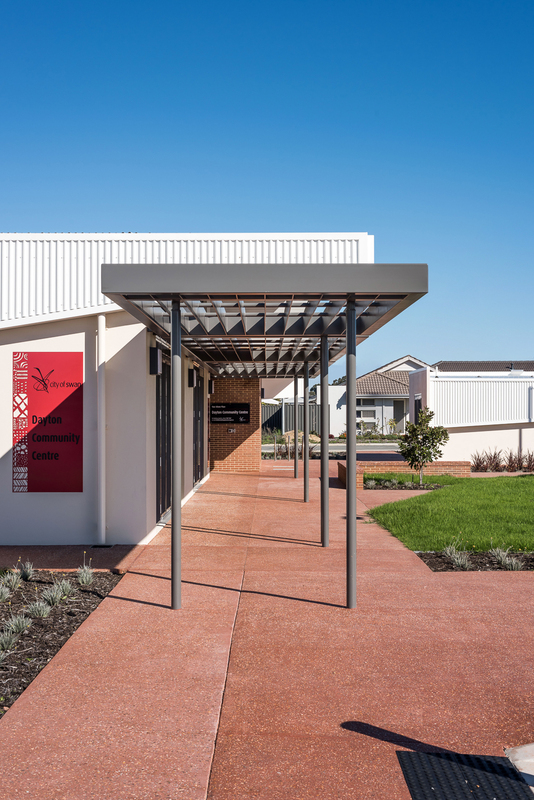 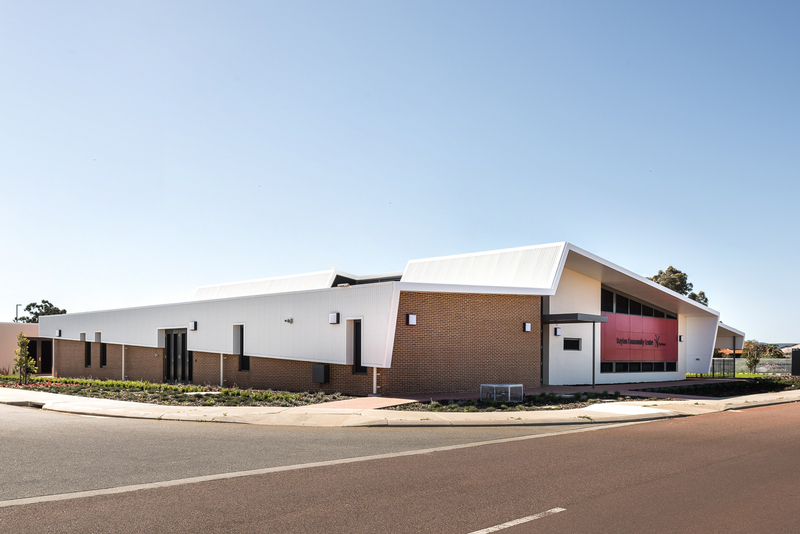 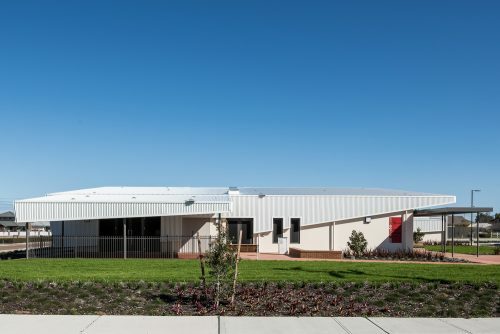 Dayton Community Centre is a new build in the suburb of Dayton located within the City of Swan. 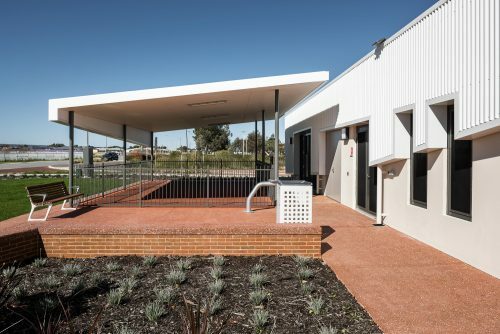 The site is located within a residential subdivision that has strong connections to the adjacent park and playground with the proposed shopping precinct planned across Arthur Street. The orientation of the building took into consideration the proposed shopping centre and in-depth site analyses informed the final location of the new Community within the allotment. In response to the Community Centre’s connection the future shopping centre the southwest corner of the allotment was deemed the ideal location for the building as identified by the site analyses. 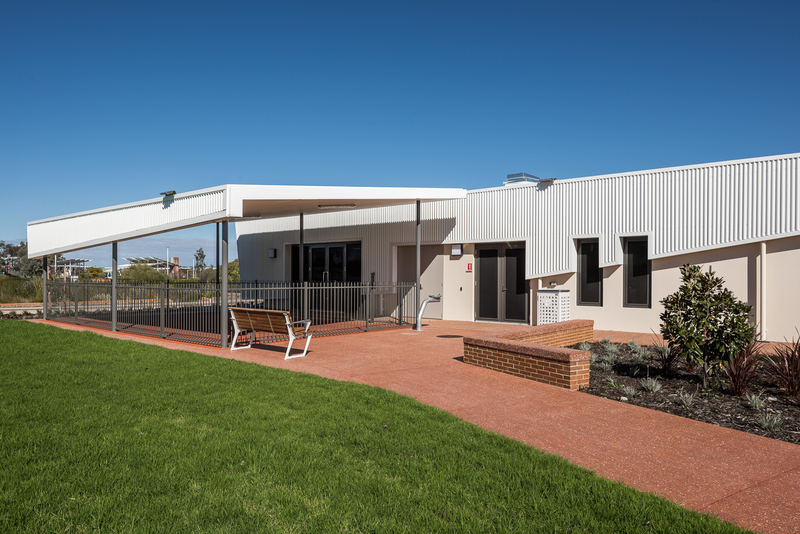 This allowed for adequate car parking and created a buffer between the new building and overhead power lines. 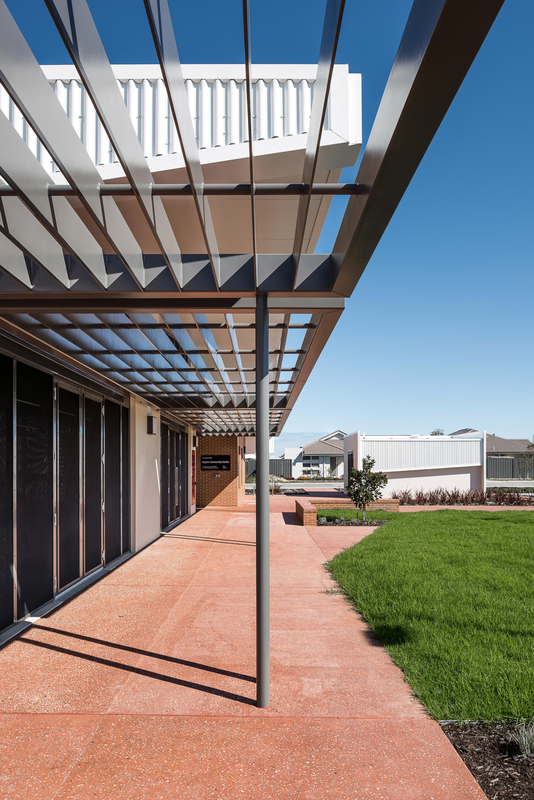 To offset the build forms landscaping and vegetation us used to soften the hard edges. The planning of the building focuses on activating the functional spaces which are serviceable facilities in order to create flexibility throughout the centre. 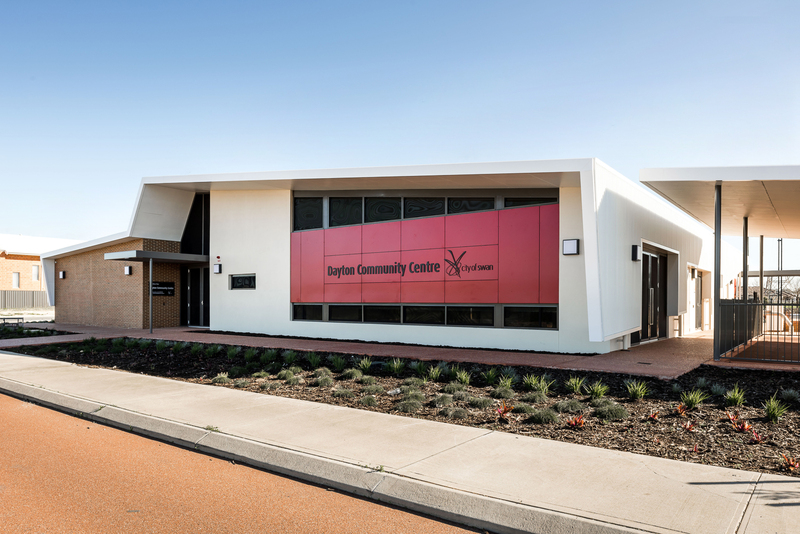 Dayton Community Centre has civic qualities whilst settling amongst the residential surrounds. 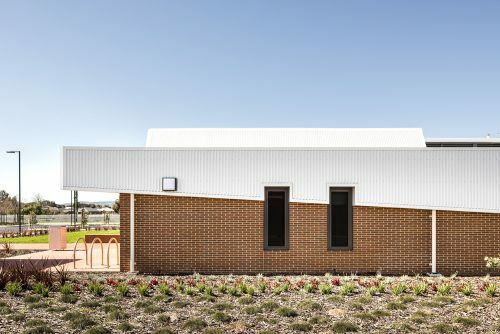 The building takes on a folded roof form set at varying heights, promoting higher volumes to the facades and internal foyer, which differs from a residential roofing. 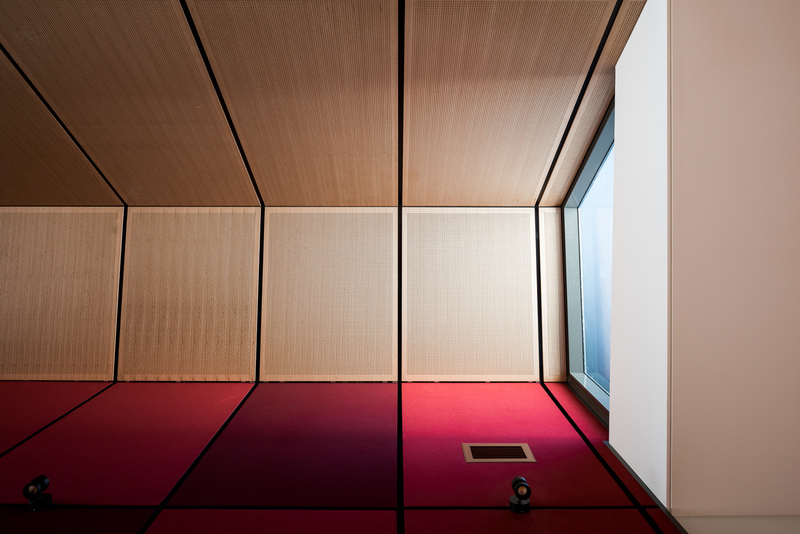 In addition, the civic forms high volumes that allow the building to employ natural daylight and ventilation into the internal spaces. 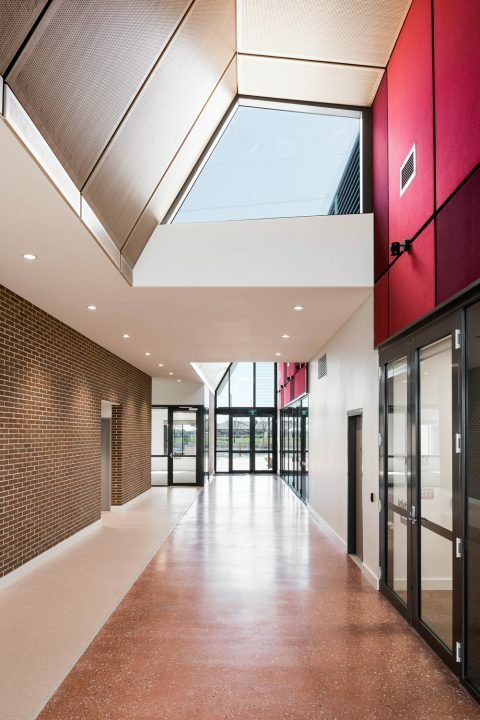 The North and South facades have been articulated under a folded roof form and using a combination of selected materials and finishes helps define different spaces internally. The East and West facades of the building have been articulated by careful detailing which eludes the people that the roof form is folding down the face of the building. Dayton Community Centre’s internal spaces focuses on active functional spaces with amenity. 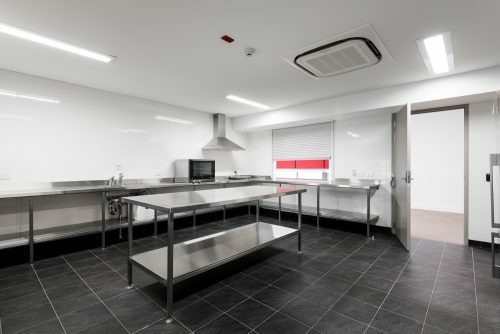 The location of the function hall and activity room are separated by the kitchenette and storage facilities. This promotes sharing of resources and minimising services, whilst creating an acoustic separation between two separate function. 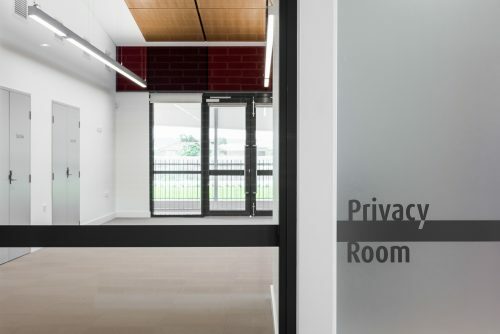 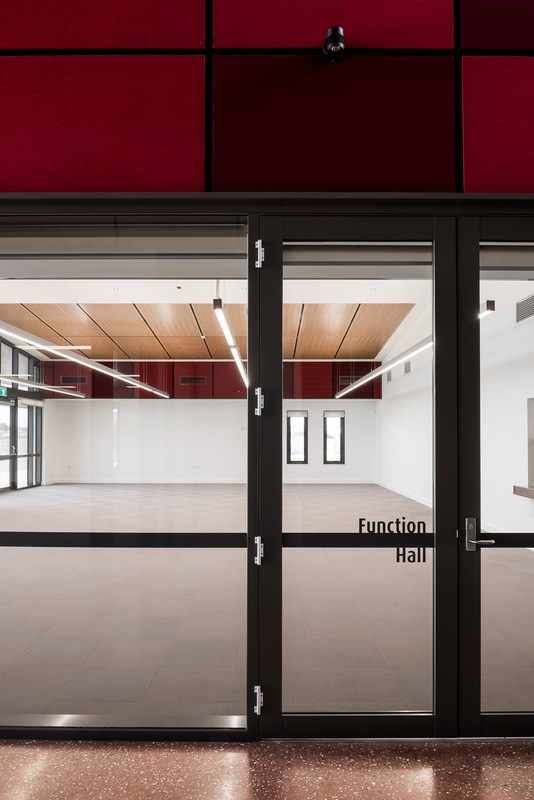 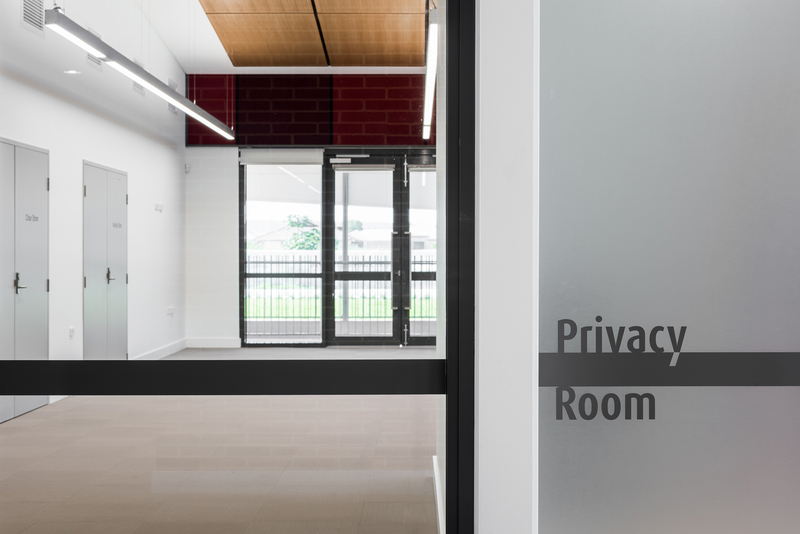 The central foyer which is the main entry point into the Community Centre from both the North car park and St Leonard’s Boulevard becomes a threshold between the main functional spaces and the smaller community space and amenities. 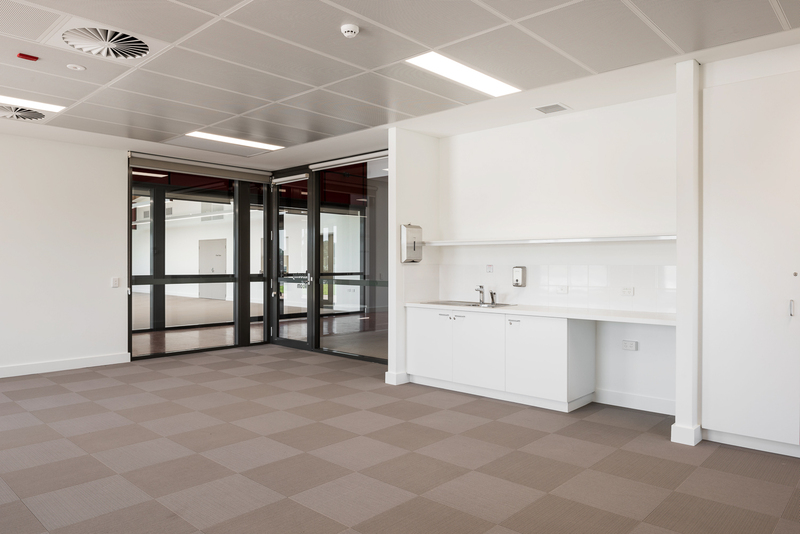 To further strengthen flexibility the foyer can be used for informal gatherings. 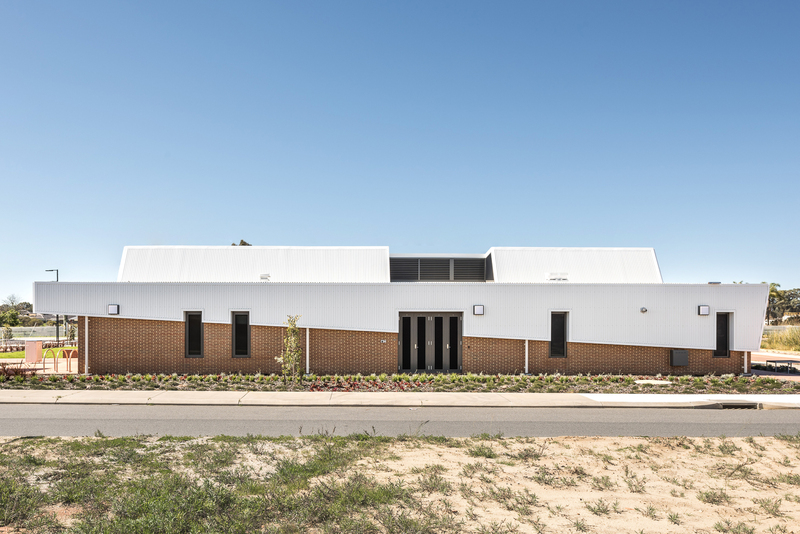 External materials are a combination of Boral Georgian Range Bricks and painted sand render in ‘off white’ contrasting the window frames. 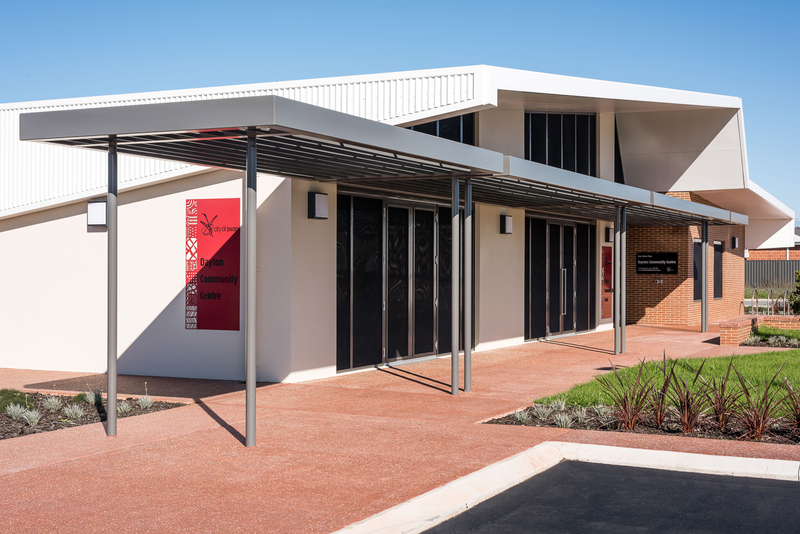 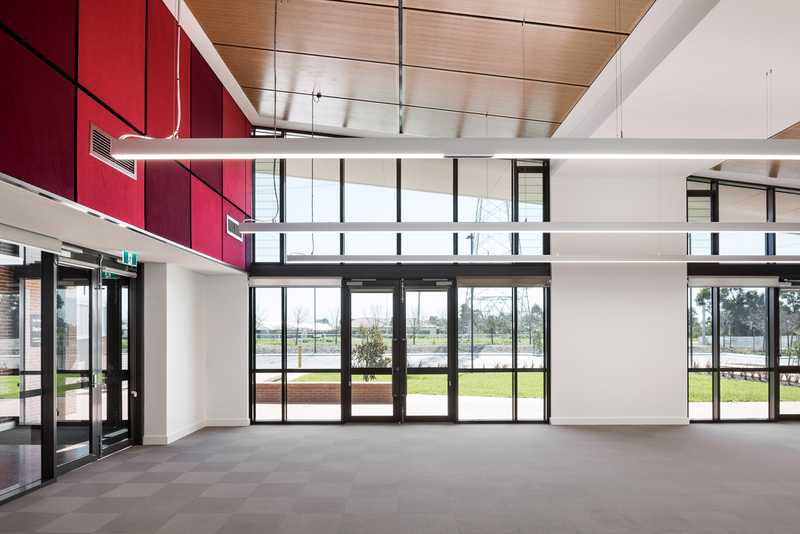 The South facade has a feature coloured panel wall in the City of Swan signature red colour to the external wall of the activity room. 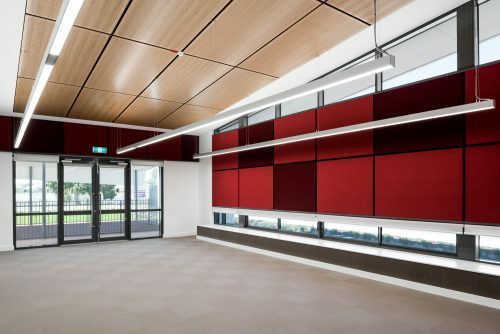 Internally the external materials are repeated red paneling and with plywood acoustic ceiling panels in the main activity areas creates a softer and warm internal environment. The materials reflect the City of Swan’s brand and community through the use of colour and texture.